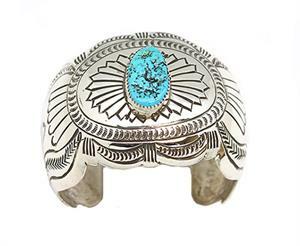 Wide stamped bracelet with one free form turquoise stone in the center. It measures approximately 2" wide at widest. 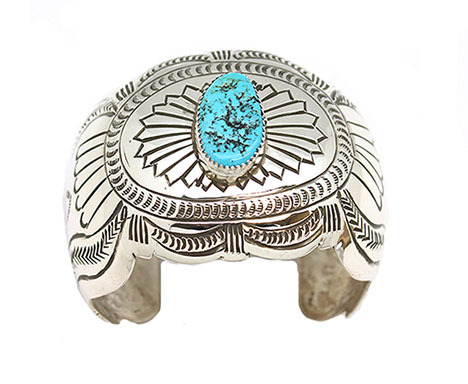 It is Navajo hand made by Carson Blackgoat. Stamped from end to end. Currently only this one available.